Hi Girls! 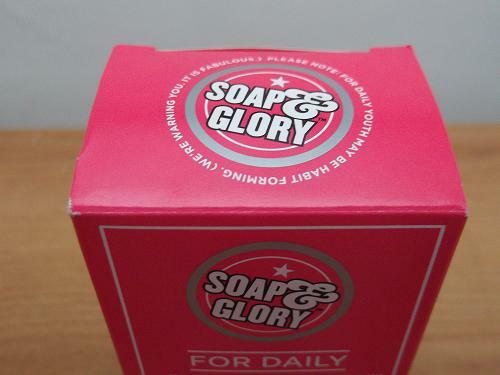 I reckon by now you've most probably realised that Soap and Glory is a brand I can't get enough of. 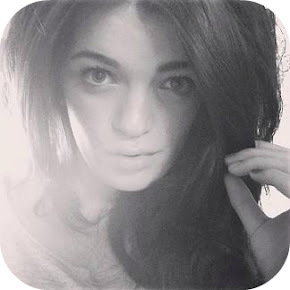 I featured this in part one of my skincare routine which you can read here. I picked up this beaut of a moisturiser with a voucher that came with my 'Best of All' gift set (read my review here) and saved £3. Not only that, but it was on offer too which made it a nice little £6 purchase. For 50ml of product I think that's such a great price and it's hard to find something to beat it. I'm a real skincare geek and I always find myself in the skincare aisle at Boots looking for new products to try. I have combination skin so something which softens my skin while not being too greasy is at the top of my list. "Our exclusive PATENTED PLANTPOWER™ PEPTIDE COMPLEX to fight fine lines & wrinkles. A SKINMOOD BOOSTING™ molecular mix – an antioxidant to help protect and stimulate the skin Rosa Centiflolia Flower Extract – a special Swiss blend which gives amazing sensorial benefits and enhanced activity." 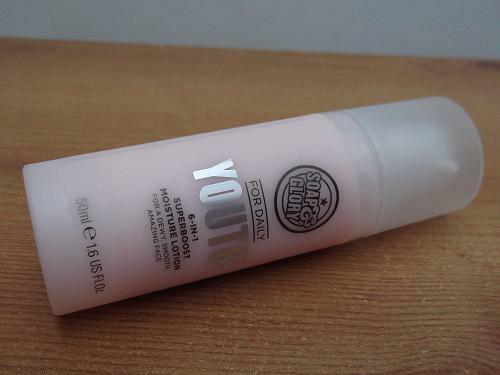 Up until a few days ago I was using Superdrug's Vitamin E Radiance Moisture Cream (read my review here) because I truly believe I've found a new 'holy grail' day moisturiser. 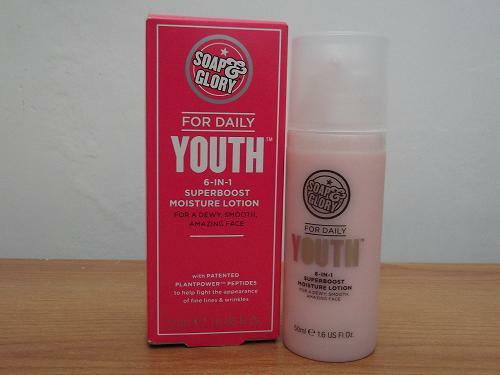 Not only does it carry Soap & Glory's signature shea butter and grapefruit scent, but it's a moisturiser which does make a difference. I feel that it hydrates my skin throughout the day without feeling too heavy and leaves it so soft once I take my make up off after a long day. I absolutely adore the packaging and the pump. It's a product which looks so cute and girly on your dressing table and is small enough to take away overnight if you go anywhere. The pump is amazing, it doesn't decant too much product at once and it almost has a sort of moussy feel to it once you push the pump down. I use two pumps of this moisturiser for my face and neck and if like me you have acrylic nails, you haven't got that dreaded moisturiser left behind your nails! I'll definitely be picking up a few of these while they're still on offer at Boots. 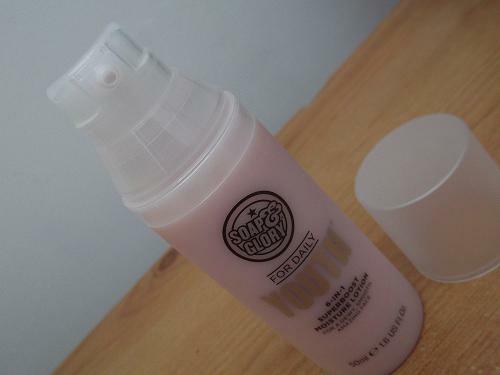 Have you tried this Soap & Glory moisturiser? What are your holy grail moisturisers?